We are very excited to announce that they have been approved to begin production at our newest Southwest location. As you may recall, we held a ribbon cutting ceremony on January 30, 2018, to celebrate the opening of our new 39,410-square-foot factory in Tempe, AZ. At that time, there were only a few machines delivered, and not much else in the brand-new space that LAI acquired. The new state-of-the-art factory houses a next generation engine program for the commercial aerospace industry. The program and factory will focus on machining and Electrical Discharge Machining (EDM) product, which is then measured on Coordinate Measuring Machines (CMM). The need for additional factory space stems from several long-term purchase orders and contracts with some of the aerospace industry’s top manufacturers. “We will provide Customers with better turnaround times to minimize their need to have extra inventory on their assembly lines. 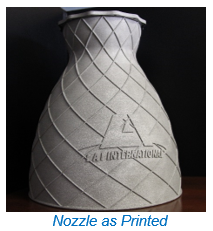 This is one of the key benefits that our Customers see with leveraging Additive Manufacturing technology – shrinking the time it takes to complete the value stream,” he said. The original Tempe location is the company’s headquarters and home to a world-class Additive Manufacturing and waterjet facility. 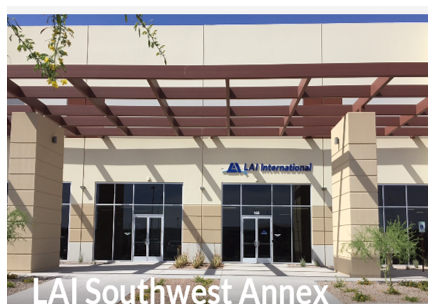 With the new Southwest expansion, LAI will have more than 260,000 square feet of manufacturing space across its nationwide locations, including Tempe, AZ; Green Island, NY; Scarborough, ME; and Westminster, MD. Manufacturing capabilities across the locations include Additive Manufacturing, Waterjet, Laser, EDM, CNC machining, Welding and Fabrication. The first element of a controlled process is locking down the variables as much as possible using process controls and documentation (PCD).